When reading a Japanese website, have you ever thought it would be really convenient to have someone read it aloud for you? Have you ever thought you might want to hear the emails you receive from Japanese friends spoken out loud? If you have, then let us introduce some convenient tools that allow you to do just that! 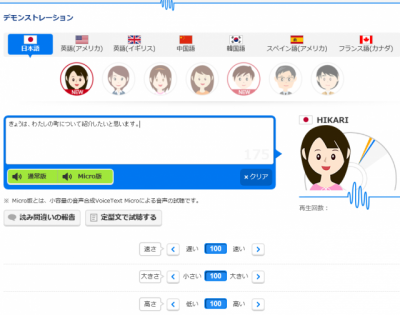 The first tool we'll look at is the website YYNIHONGO, which has a text-to-speech function you can use for any piece of Japanese text you select. Roll the mouse over the pencil and notepad icon from the top right of the menu buttons and a number of different functions will appear. From these, click on the 4th one down, which is 'にほんごテキストの よみあげ' (Japanese text-to-speech). You can copy and paste - or input yourself - any Japanese text you want read into the box marked 'にほんごテキストの よみあげ. 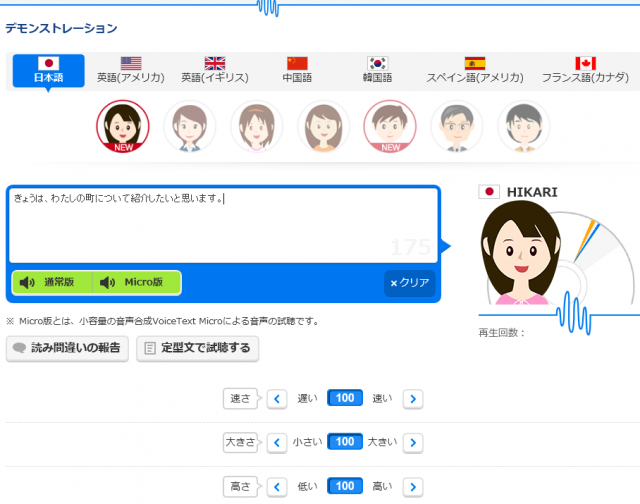 For example, we'll type in the phrase "日本語の　べんきょうは　たのしいですか。"
Click on the 'よむ' (Read) button and the text will be read aloud for you by a speech-synthesizer similar to the one from YOMO・YOMO. 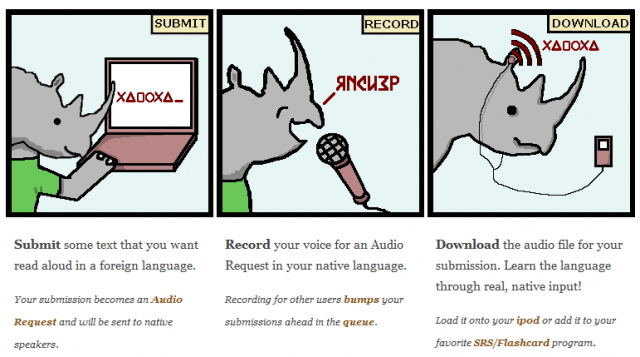 On the "VoiceText" website you can test out the HOYA Service Corporation's voice synthesis software with different styles of voice geared towards announcements or the entertainment industry. The intonation is very smooth. Why not input the transcript of a speech or spoken text and try using this to practise? This site was recommended to us via the eな Information station. What if you want to be able to choose between different voices? Well, in that case we'd recommend the demo speech-synthesizer found on AI Corporation's (株式会社エーアイ) website. 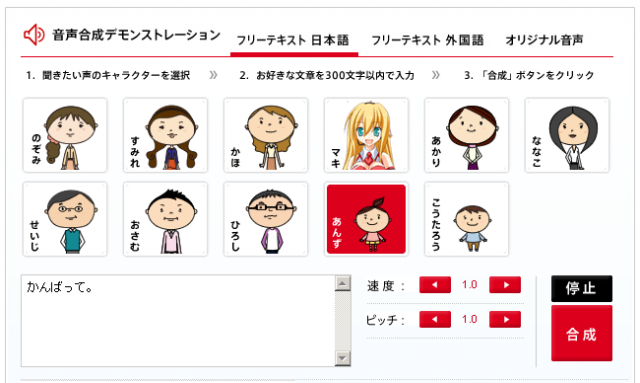 As with the other websites introduced above, this one also reads aloud the Japanese text you input, but here you can choose from 15 different types of voices - male and female, children through to adults. When you're feeling tired, why not input a quick "がんばって" and get some encouragement from a kind voice? The final website we'll introduce here is a community tool where you can have real people read text aloud for you. Registered users from all over the world exchange audio files in their target languages. You need to register your name, although this is free. You can choose the display language from English, Spanish, Japanese, Czech, Danish, Portuguese, Greek, Dutch, Chinese or French. Please read our introduction article for details on how to use the service. So, were there any text-to-speech tools you think you might want to try?